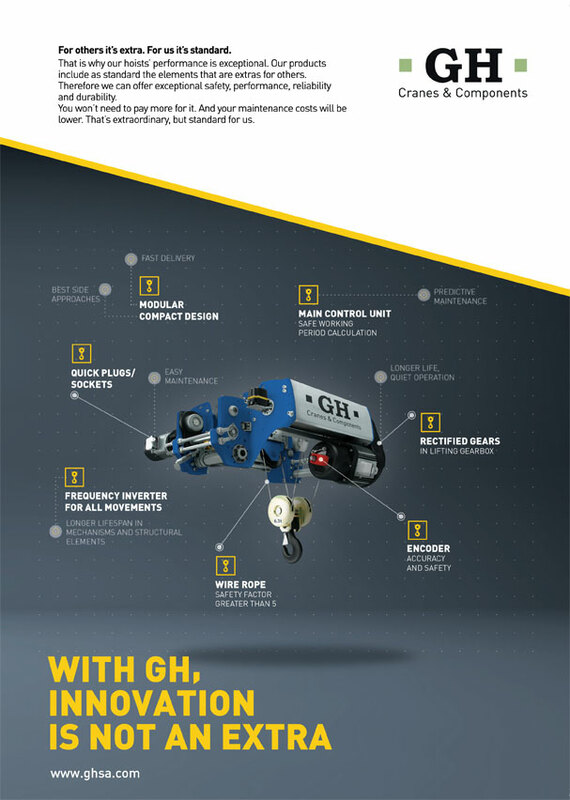 With GH, innovation is not an extra | GH crane and hoist manufacturer. For others it's extra. For us it's standard. 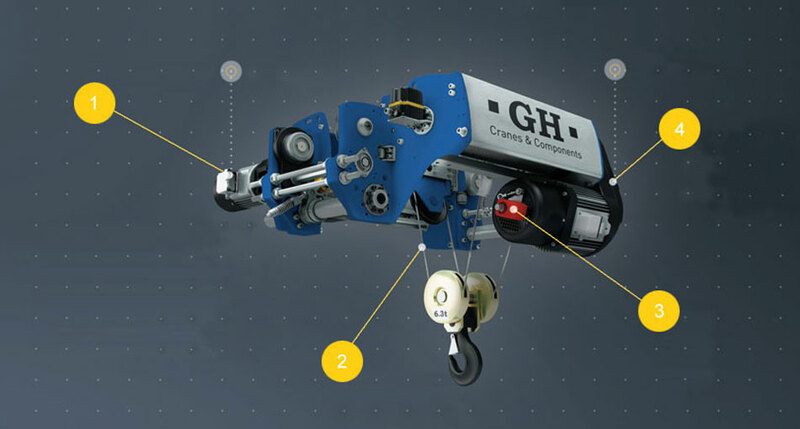 That is why our hoists' performance is exceptional. Our products include as standard the elements that are extras for others. Therefore we can offer exceptional safety, performance, reliability and durability. You won't need to pay more for it. And your maintenance costs will be lower. That's extraordinary, but standard for us. Safety factor greater than 5. Best side approaches. Fast delivery. Safe working period calculation. Predictive maintenance. Longer lifespan in mechanisms and structural elements.